When drivers believe they are being watched they are more likely to behave themselves. That is the principle, or at least the hope, behind a new project called Fly6, a rear mounted video camera and tail light for bicycles. The project is in the development stage and a Kickstarter campaign is underway to help the innovative device to mass production. Fly6 is the invention of two Austrialian cyclists, Andrew Hagen and Kingsley Fiegert of Perth. It is a battery operated, rechargeable red flashing tail light that fastens to the rider's seat post just like many other rear facing lights on the market. The difference is that the light is accompanied by a tiny, high definition video camera that records what is happening to the cyclist's rear. It records on a two hour loop, meaning that after two hours of run time, the camera starts to record over earlier footage. In the event of an incident, the camera's microSD card can be removed to download the footage for permanent safekeeping. 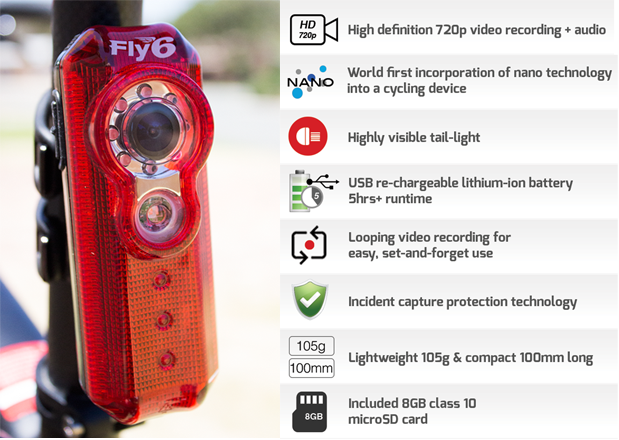 Having viewed the Fly6 Kickstarter page, my first impression is that this is a potentially brilliant product. As a super bright tail light it helps the cyclist be seen by motorists. 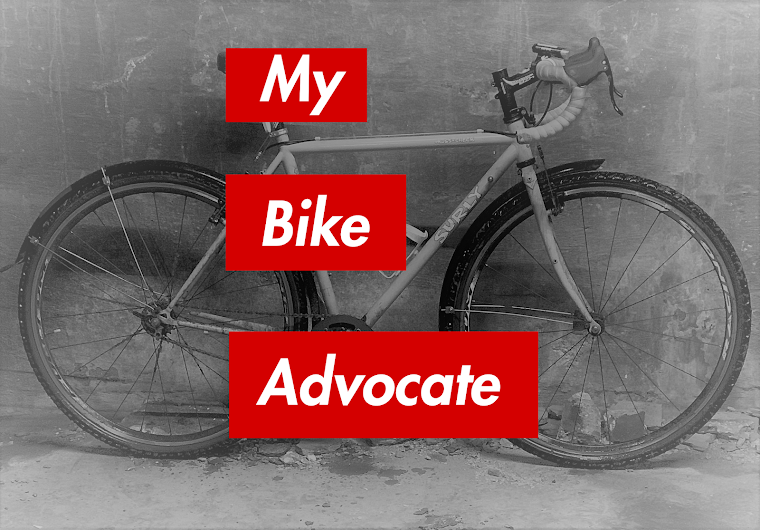 Increasing one's visibility is without a doubt the best way to avoid getting hit in the first place. The Fly6 also notifies rear approaching drivers that they are being watched thanks to the accompaniment of small, bright spinning lights that operate when it is recording. The camera itself seems to be of high quality, good enough hopefully to record a license plate in the event of an incident. The size and ease of use of the product seem ordinary enough that use of the Fly6 would not add hassle to the daily bike commute or recreational ride. Do you really think drivers will know that there is a camera/what the spinning white light indicates; especially from a distance or approaching at a high rate of speed? I don't know, but they should sure see it and at wonder what it is. If that happens they are at least noticing the cyclist. It seems to have good daytime video quality but I'm curious how it looks at night especially with the flashing red light. And is it possible to run the camera without having the light flash? Does it have a steady mode? This is important to some people who bike in some European countries where flashing red lights are discouraged or not allowed (I know their laws require a steady red light in the rear).